Rapeseed is the traditional name of a large winter or spring annual oilseed crop from the Brassicaceae family, and is related to mustard, cabbage, broccoli, among others. As one of the leading oilseed crops, rapeseed is primarily grown for its oil content. 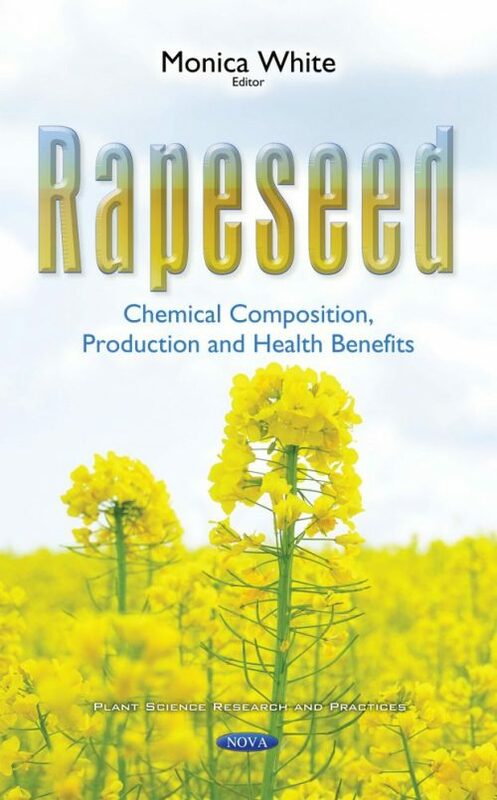 This book presents research on the chemical composition, production and health benefits of rapeseed. The first chapter reviews the literature on rapeseed/canola derived bioactive peptides with emphasis on strategic production and processing methods as well as antihypertensive, antitumor, hypocholesterolemic, and multifunctional properties. Chapter two summarizes recent advances on the extraction processes of rapeseed-derived protein and bioactive compounds and reviews the possibilities as well as the challenges that these ingredients face regarding skin care, food and nutraceutical applications. Chapter three examines physical properties of fat filling produced with oil industry by-products – sunflower and rapeseed lecithin in comparison with widely used emulsifier- soy lecithin. Chapter four provides a comprehensive summary about contribution of mass spectrometric methods to analysis of rapeseed, reflecting their irreplaceability to the field of “Food control.” The final chapter studies antioxidant activity in transgenic canola plants grown in vitro.